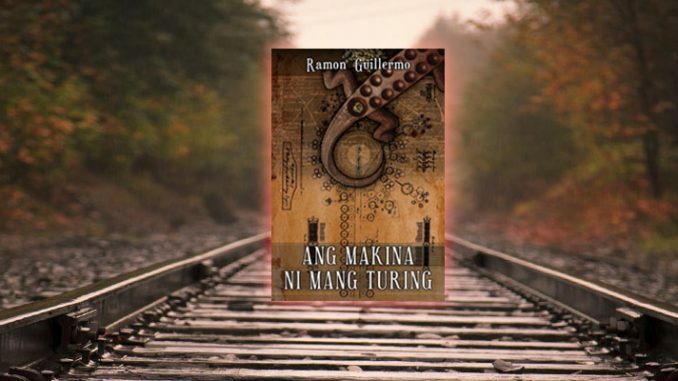 The narrator of scholar-activist Ramon Guillermo’s rousing first novel Ang Makina ni Mang Turing is a nineteenth-century “ilustrado” (enlightened, educated), a young man from the Philippines, then a colony of Spain. Having recently completed his licentiate in law in Madrid, he has elected to spend seven months in Leipzig, Germany, working on a novel of the Dagohoy Rebellion that took place in the Central Visayan province of Bohol between 1744 and 1829. The novel opens with the protagonist moving to Hamburg in 1883 for one more month’s stay in Europe before he sails back to Manila. The narrator has been sent by his family to study abroad for a clear purpose. Sister Maya, who operates a pharmacy in Manila, tells him that his people back home “are hoping that you will put what you have learned to good use for promoting our aims” (umaasa silang magiging kapaki-pakinabang ang iyong pinag-aralan para sa ikasusulong ng ating mga adhikain, p. 13). What Maya has is mind is the country’s need for lawyers who can “build our nation” (pagtatayo ng ating bansa) and “frame a constitution fit for the independent, free Republic we want to have” (marunong magbuo ng isang constitucíon na naangkop para sa ating hinahangad na nagsasariling Republica na Malaya, p. 14). This ilustrado, however, does not come either from the landed nor commercial class who make up the colony’s non-Spanish elite. Although his father had gone to college in Manila, his grandparents had grown up in the independent community established by Dagohoy and his fellow rebels in a mountain stronghold. The Dagohoy revolt has the distinction of being the longest revolt in Philippine history, one that for eighty-five years had founded a community—a self-sufficient republic run by the Boholanos themselves—in defiance and beyond the reach of Spanish colonial authority. A major assault mounted by the Spaniards in 1829 would break up this stronghold. In the novel, however, the sons of Dagohoy decided to send some of their fellow rebels—the ilustrado’s grandparents among them—to Manila with the injunction to disseminate the call for arms and establish a new branch of the rebellion in Luzon. As soon as the grandparents had seen their son, the ilustrado’s father, through college, they went back to the mountains, this time in Sierra Madre up north, where they would die in battle. In Europe, the young man tries his hand at writing a novel, but has almost given up being able to complete the final chapter after seven frustrating months. What he needs now are “new ideas” (bagong ideya, p. 6). And he finds them through his chance encounters with two “Asian” men and Rolf, the German son of his landlord. On the train to Hamburg, he encounters a young Japanese named Kawamoto, who has been sent by the Meiji government to study military science in Germany and who, like the narrator, is stopping over Hamburg on his way back to Japan, where he will presumably play a role in the military reform of his country. From this Japanese, the narrator learns about Prussian general Carl von Clausewitz’s unfinished treatise Vom Kriege (On War, published in 1832). The narrator also encounters and spends hours playing sungka—a mancala “sowing” game — with a Javanese named Waruno, a master tjonklak player on his way home from the exposition in Amsterdam but stranded in Hamburg by the volcanic explosion in Krakatau. The narrator’s interest in sungka is stoked by the “Turing machine” he has picked up in Hamburg. The machine is a “revolutionary invention” by his Manilan neighbor, an eccentric Spanish-Filipino mestizo named Don Miguel Arturo Angel Valdez y Maglangit, informally called “Mang Turing” by his neighbors, who had died while conducting an experiment in Hamburg. This machine —a “real” version of British scientist Alan Turing’s 1937 hypothetical computing machine — is capable of solving complex problems by reading and writing data and rules that are fed to it through a paper tape. The narrator initially uses the machine to figure out a way to beat Waruna at tjongklak by increasing the final count of the shells in his “big house” hole. But as the rules of the game are adjusted so that two players, rather than one, start the game at the same time, or when a screen prevents the players from seeing each other’s first move, the narrator finds that Mang Turing’s machine may have reached its limits of calculation, even though the limitations of the machine will not stop people from dreaming of building the ultimate calculating machine. The role of chance, the unexpected, and the incalculable, so crucial to the very definition of “play,” is the central preoccupation of the novel. The key contrast established by the novel is between the games of sungka and chess. Chess depends on non-chance and assumes complete information that enables a player to visually map the chess moves and both remember the history of the moves across the board and make long projections of the possible outcomes of these moves. Moreover, the rule in chess of having one player go first tends to skew the chances of the opponent, who will be put on the defensive. In theory, any player can “see” all the possible moves in a chess game, and this game’s reliance on perfect information makes it amenable to the calculation of Mang Turing’s machine. Indeed, the narrator’s young German friend Rolf sees a future in which “science can discover the secret behind all games, including chess” (matutuklasan ng ciencia ang mga lihim sa likod ng lahat ng laro, kasama na ang larong ajedrez, p. 56). Indeed, more than a hundred years later, humans have constructed computers that can beat the best human players. It is clear that the essence that makes for play lies in uncertainty itself. Have you seen a game where the audience always knows in advance what is going to happen and who will win? This kind of play gives no pleasure. In the course of the novel, the narrator comes to reflect on the aleatory element in relation not only to play, but also to war and history more generally. Clausewitz’s notion of war as “politics by other means” depends for its efficacy on the total disarmament, immobilization, and surrender of the opponent. This requires not only the use of physical forces (forces physiques) but also “moral forces” (forces morales), the ability to put out dissent so thoroughly as to prevent any sparks from causing a fire in the future, even though the territory may already be occupied. The narrator comes to realize that one of the main challenges of waging war is the “friction” (Friktion) created by the lack of information on the ground. If war, too, is marked by the accidental that can potentially undercut the most elaborate strategy and plan of action, if the best-laid plans can and do often go awry, this element of uncertainty levels the field and creates precious space in which the powerless can strike back at the enemy. Here, the notion of “Charakter” (or lack thereof) can be decisive to the struggle of the oppressed for liberation. The narrator finds in the rebel Dagohoy a historical precedent and example of someone whose character—founded on courage of conviction (napakatatag ng mga paniniwala, p. 102) and the determination to engage in the struggle over the long haul (labanan na matagal, p. 101)—has enabled him to wage a successful revolt and wrest an autonomous space for himself and his people beyond his own lifetime. The narrator credits Dagohoy with the inborn talent of being able to speak the language and emotions of the country (nakakapagsalita ng wika at damdamin ng isang bayan), of being at one with the people, breathing, speaking, sleeping, dreaming and awakening together (nakikiisa ang kanyang hininga, pananalita, pagtulog, panaginip at paggising sa kanyang mga kababayan, p. 120). No machine or automaton for history has yet been invented that can always make the right move and always win the battles it wages. As long as this is so, there is hope. For this, a person—many persons—of “character” will be needed, a person, men and women, not only with a strong “loob” (a Tagalog term for which words like “heart”, “interior state”, and “inner being” are loose translations; lakas ng loob), but a warrior, warriors capable of nursing his, her, their strength and stamina. The narrator is all too aware that the imperative of long-term struggle—the necessity, in other words, of taking a stand (captured by the Tagalog word “paninindigan”) —for liberation does not guarantee that the future will work out according to plan, for history cannot be secured with either certainty or by hard-and-fast rules. 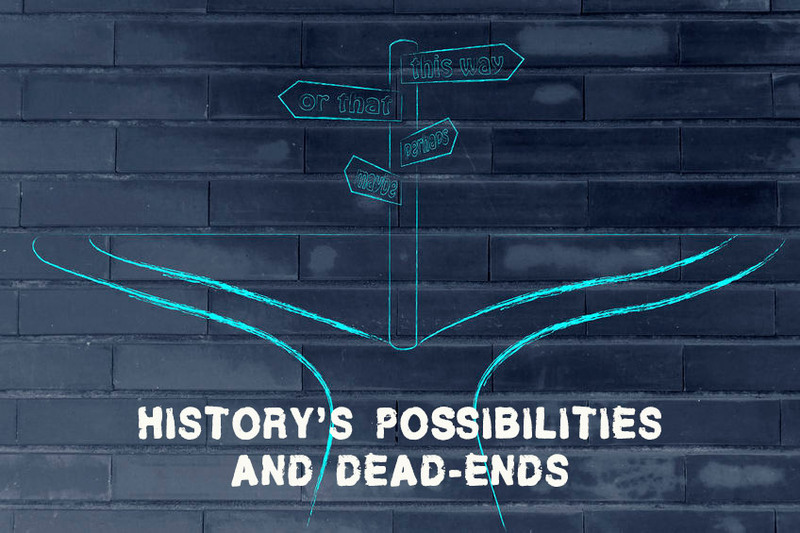 The aleatory element of history is not only the major theme of this novel; it is also a principal structuring device. The plot is propelled by chance encounters that bring the narrator into contact with Kawamoto and Waruno, with Rolf the son of the landlord, with Mang Turing’s machine. More, these characters are “living” traces of a history of possibilities that were opened up and foreclosed in the years to come. In Kawamoto, we see glimpses of the Japanese people’s rights activist Suehiro Tetcho whom Jose Rizal would meet in real life on a ship in Yokohama, bound for San Francisco, five years after the events in Mang Turing, an encounter that led to the two men traveling together to London and sparked, in Suehiro at least, fantasies about Asianist solidarity (Hau and Shiraishi 2009). Less than ten years later, people from Suehiro’s network would link up with people from the Philippine revolutionary movement (both the revolutionary organization Katipunan and the First Republic sought such links) to create an Asianist network that connected Chinese, Koreans, Filipinos, and later, Vietnamese in the common endeavor of fighting for the liberation of their respective countries and of Asia more generally. Among all foreigners who participated in the Philippine Revolution at the end of the nineteenth century, the Japanese would provide the most substantive assistance (Dery 2005). But this network of revolutionary solidarity would also be radically transformed when the Japanese state opted to take the imperialist path and colonize its neighbors, unleashing on the Philippines the deadly military power that Kawamoto had a hand in creating. Germany, too, whom Rizal had seen as his “scientific homeland” rather than Spain (in Mang Turing, the narrator’s experience of racism in the metropole and the evidence he sees of Spain’s “conservatism and medievalism” compared to other modern European powers color his perception of Spain), would go imperialist, and later turn to Nazism. The novel ends with the young man about to return to the Philippines. It does not tell us whether he survives the long journey home, whether he is able to go to Singapore as planned, what comes out of that stopover, what happens afterwards. The open-endedness of the novel is a meditation on the necessity and perils of hindsight, on the political experiments and strivings and decisions that need to be made in the face of “incomplete” information, on history’s possibilities and dead-ends. For there is no guarantee that the rebellion will be nurtured by all who have participated in it. In Ghent, the narrator meets one of his grandparents’ fellow rebels, Banog (now called Enrique Q. Vitalis), who had once been an arms dealer for the rebels but who had strayed from his course when he became engrossed in accumulating money for himself. A tired old man, Banog recounts his loss of faith, his illness, and his subsequent penury, but nonetheless gives the narrator the name of an associate of his in Singapore, Ong Soong Lee, whose help the narrator will later seek on his way back to Manila. The novel beats with the hectic rhythm of the “age in motion” (Shiraishi 1990) it tries to depict, an age when trains can now traverse long distances, news of the volcanic eruption in Krakatau can travel at the speed of the telegraph and its climatic effects can be felt in Germany and Norway, and Asians and fellow “Malays” can meet each other in Europe. It is a world whose peoples have been brought together from far-flung areas not only by the common experience of commerce, colonialism, and technological innovation, but also by the experience of reaching out to and learning from each other in (im)perfect communication, and overcoming the linguistic barriers. These are polyglot people (between them, the narrator and Kawamoto, for example, have Spanish, German, English, Japanese, Boholano, and Tagalog; Waruno brings to this mix his Dutch, Javanese, and Malay) whose conversations shape each other. An Italian staying in the house where the narrator is billeted does not make an appearance, but leaves a book on how to make dynamite that proves useful for the narrator. This is an age of discoveries and dangers, when technology has extended human capacities and connections across vaster stretches of space and time. But cultural diffusion has longer roots: Kawamoto’s soroban abacus is also used in Binondo shops; mancala “sowing games” are also played, albeit with some differences, in Germany and Egypt and Africa and Southeast Asia; Japanese Go came from Chinese weiqi; Malay shares vocabulary with Tagalog. This is also an age when the horrors of war (magnified by the killing machines that technology has made possible and will bring into use through two world wars to come) lie in the near future. In the future also, lie the Philippine revolution, American colonization, the Commonwealth, the Japanese occupation, post-colonial elite democracy, the Marcos dictatorship, People’s Power, democratic restoration, and the emerging economies of TIMPS. 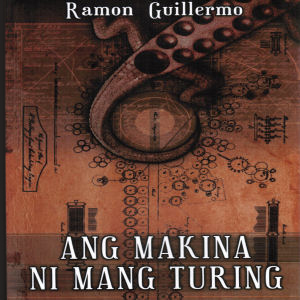 Much of the charm of the novel lies in its playful allusions: the Turing machine (Mang Turing’s version will be stolen by an Englishman named William Gillbeast) and the gentle joking nod at the Filipino propensity to claim credit for inventing karaoke, fluorescent lamps, and others; the funds that Dagohoy rebels like Banog use to purchase arms abroad, reminiscent of Simoun’s own wanderings in Rizal’s El filibusterismo; the Singaporean contact Ong Soong Lee, which is a Chinese-Filipino alias that Indonesian Communist Tan Malaka uses, among many others, to enter Hong Kong in 1932 (Poeze 1976). But by far the most important achievement of this novel is its breaching of the “great divide” between ilustrados and “the masses” that haunts Philippine literature. The narrator invokes the lines from the Cuban song “Guantanamera”—“el arroyo de la sierra/me complace mas que el mar” (the stream of the mountain range/pleases me more than the sea)—to identify the powerful organizing trope of resistance that contrasts the mountain to the sea. In the Philippines, “to go to the mountains” (mamumundok) is associated with the act of evading the state by putting oneself beyond its reach. Various revolts, including the Dagohoy rebellion, had established bases in the mountains, and so would the Communist and other political movements in the twentieth century. While rebels went inland, ilustrados and seafaring Manilamen and musicians and Overseas Filipino Workers went abroad, far beyond Philippine shores. Mang Turing opens a path that leads from mountain to sea (and back and forth) in a single narrative of fortitude and unvanquished spirit by having the rebels send their sons out to Luzon and then into the world, to learn and take action in and throughout the Philippines and also the world, with the hope and expectation that these politicized ilustrados will work for both Philippine and humankind’s liberation. The novel uses sungka—not chess—as a metaphor to make sense of these movements and the things they throw up to Walter Benjamin’s Angel of History (beautifully translated by Guillermo [Benjamin 2013]). Not by chance does Mang Turing’s full name include “Angel” and “Maglangit” (to ascend to heaven). In Guillermo’s metaphor, each one of us is a cowrie shell in one of the “little-house” hollows of the sungka board, and we find ourselves lifted by forces we know not and borne on trips around the world (the Tagalog term for “world,” daigdig, is a flexible concept and not necessarily global in scale), propelled out of our homes toward the “wide world” (tumulak sa aming iwan ang aming kinagisnan na tahanan patungo sa malawak na daigdig, p. 139). This is a history of dispersals and returns, full of fits and starts, timing missed and seized, the sense of lagging behind and being ahead of the times, of defeats and failures and of resilience and endurance. In this wonderful novel of ideas and action, Guillermo forcefully shows how the elements of risk and chance that come into play in war and resistance, in politics and everyday life, are what make history possible, give us hope, and strengthen our resolve to remake our world. a member of Kyoto Review of Southeast Asia’s Editorial Committee. Benjamin, Walter. 2013. Hinggil sa Konsepto ng Kasaysayan, trans. Ramon Guillermo. Manila: High Chair. Dery, Luis Camara. 2005. “When the World Loved the Filipinos: Foreign Freedom Fighters in the Filipino Struggle for Freedom.” When the World Loved the Filipinos and Other Essays on Philippine History, 1–15. Manila: University of Santo Tomas Publishing House. Hau, Caroline S. and Takashi Shiraishi. 2009. “Daydreaming about Rizal and Tetchō: On Asianism as Network and Fantasy,” Philippine Studies 57.3: 329-88. Poeze, Harry A. 1976. Tan Malaka: strijder joor Indonesië’s vrijheid. Gravenhage: M. Nijhoff. Shiraishi, Takashi. 1990. An Age in Motion: Popular Radicalism in Java, 1912-1926. Ithaca: Cornell University Press.